Grilled Pizza for Vegan Pizza Day – Is It Vegan? We love pizza here at the @isitvegan house. I usually heat up the pizza stone once a week and cook up a pie on Friday nights along with a nice veggie side dish or a salad. But in the summer months, heating the oven up to 500 just isn’t going to happen. Enter, the grill. Grilling pizzas or flat breads is easy, fun, and a totally vegan way to use your grill. I have served this during parties and just for the to us here at the house, and always to rave reviews. 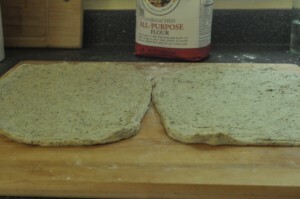 The secret is to prep all your ingredients and have a large board available to rest the finished product on. 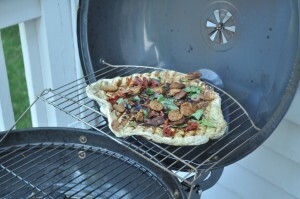 The pizza will cook super fast on the hot coals, so you have move quickly. Total cooking time is 3 to 5 mins. 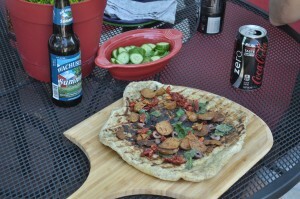 The finished product is delicious and perfect for a summer night. 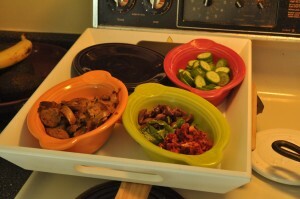 Step three: Assemble everything you need – tongs, olive oil, pizza cutter, pizza peel (if you have one), and the toppings. Step four: Drizzle your dough with oil. 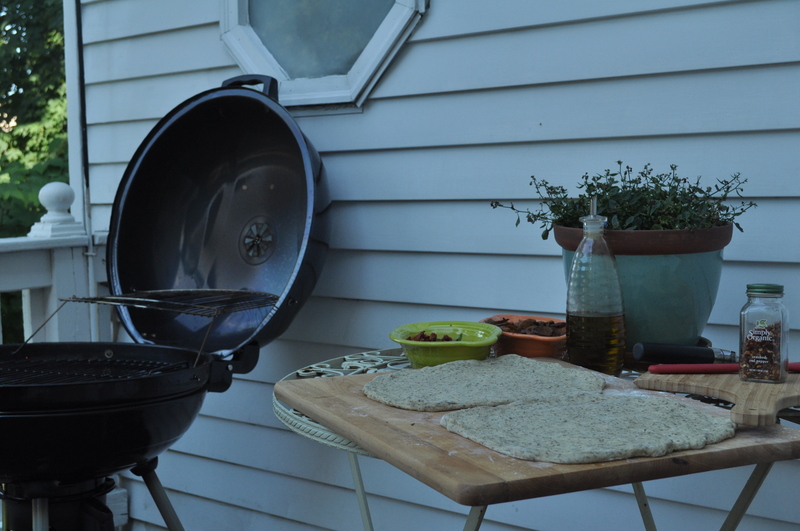 Step five: Grill. Toss your dough directly onto a hot grill. Give it about 30 – 60 seconds and use the tongs to flip over. In another 30 – 60 seconds your pizza will be almost cooked. Move the pizza to the top rack and place your toppings on. 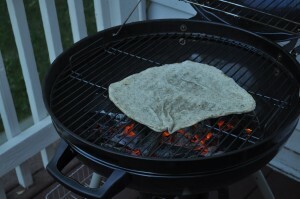 Shut the lid on the grill to finish cooking and melt any vegan cheese you may have used. (1 to 2 mins tops). Step six: Assemble your beverage of choice, slice and eat. Leave your favorite toppings in the comments.